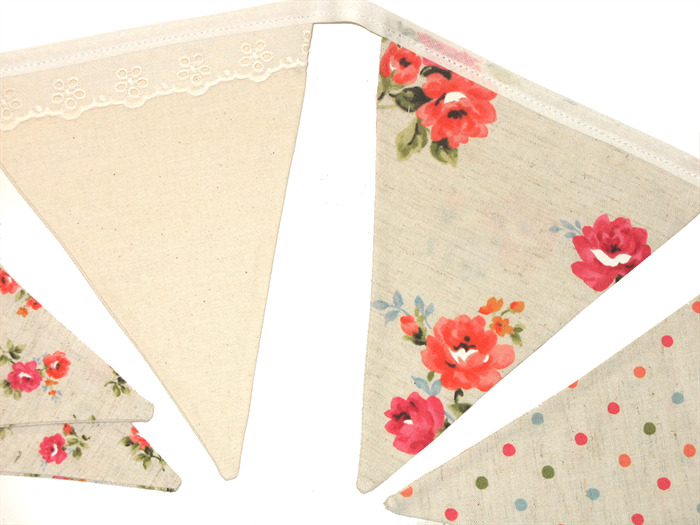 THIS ITEM: This 'Vintage Style' Flag Bunting adds charm and style to any room! 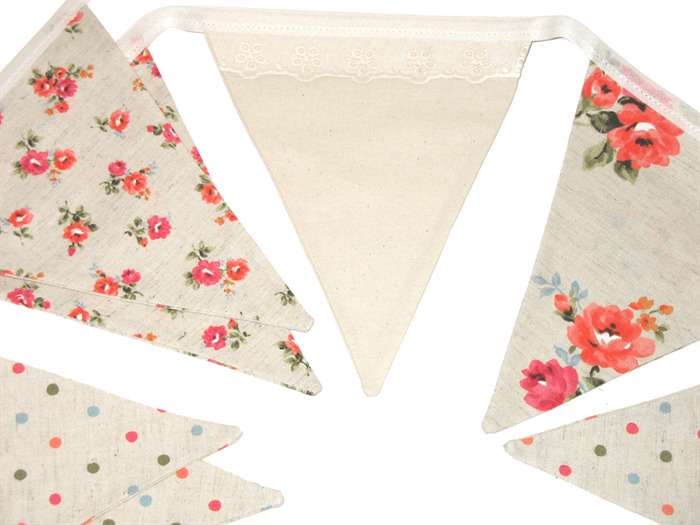 Eleven (11) flags in various NEW fabrics. 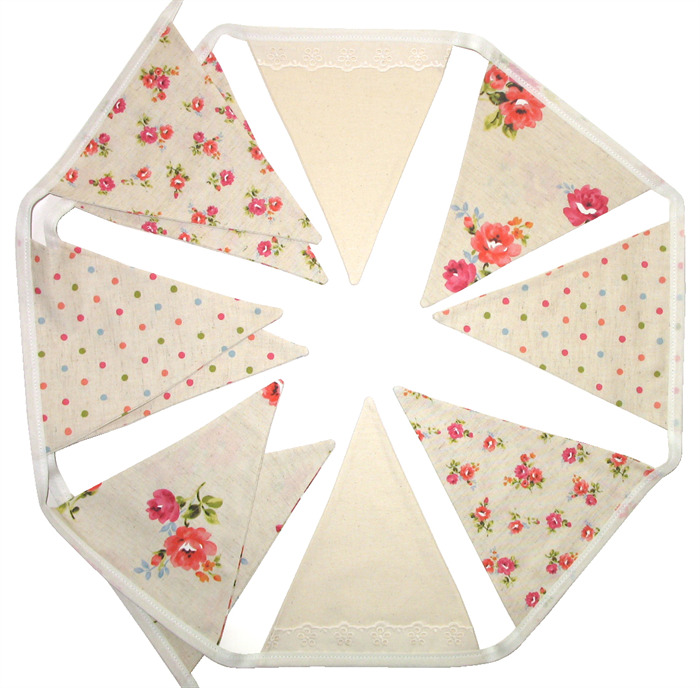 This set of flags is a lovely combination of Floral, Spots, Plain Neutral fabric, etc & Vintage Broderie Anglasie Lace - Just Divine! Colours featured: Apricot / Peach, Pink watermelon, Olive green and a 'touch' of blue on a Neutral / linen / calico colour background. Fabrics are lighter than the pics that are shown. 'Linen Look' - made from quality cotton quilting fabrics. 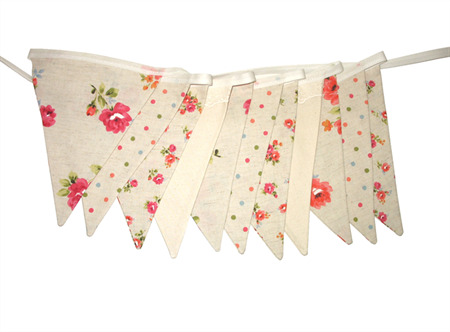 Most fabrics that are used are 100% cottons.